Built in the early part of the last century, in 1922, Dalat Palace offers luxurious elegance, gracious service and French colonial charm. 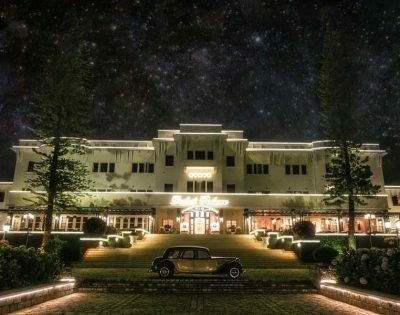 Majestically overlooking The Xuan Huong Lake of Dalat, the Hotel offers five hectares of rolling pine covered gardens, with an array of conference and salons for your special event. When it comes to fine dining, our restaurants cater to all tastes. The 43 rooms and suites are spacious and designed in typical Edwardian and Art Deco style. Lake and Cathedral Views, exclusive amenities and a wide range of unique services will please you with a well deserved rest at the end of thespyexpert.com the day or a memorable dream holidays in Dalat. Our knowledgeable and well educated Concierges are delighted to help our guests in any way possible throughout their stay. • DuParc Hotel Dalat and L´Aquitaine Massages and Spa booking. • Medical and dental help address. These warm and cosy rooms measure of 30m2 square metres offers a sizeable working area and all ‘superior’ amenities with stunning ceilings and colonial French decoration. Simply elegant rooms, perfectly appointed for the individual traveller. Located at different floors, the Superiors rooms offers Lake or Cathedral views, with a remarkable wall-tile-bathroom and a very comfortable sitting area. Beautifully designed and executed furniture. Exquisite fittings in the Parisian manner to ensure you are surrounded in luxury at the Dalat Heritage Hotel. The Luxury Exclusive Rooms are designed to make you feel welcome and at home. The Luxury rooms nestle quietly over the delightful views of Dalat. All rooms are classically designed and offer views either to Lake or to the Cathedral with a luxurious furniture decoration. Our luxury rooms measure 44 square meters. You will surely enjoy visit site the relaxing atmosphere! Located at different floors, the splendid Luxury Balcony Rooms offers a new height of glamour and panache, with bespoke furniture and the antique French colonial decoration. These rooms have their own private balconies overlooking the gorgeous Hotel Gardens. A large, beautifully designed bathroom and French decoration leading to the balcony adds to the feel of total luxury in those rooms measure 44 square meters with 15sqm terrace. 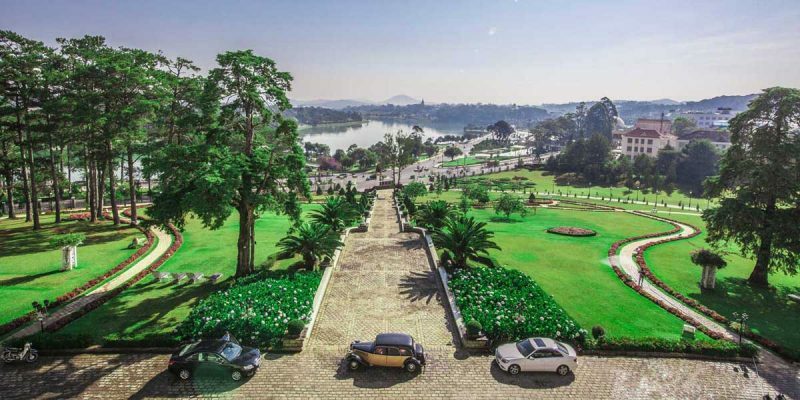 Dalat Palace Heritage Hotel offers 4 Deluxe Suites, all with a total of 90 square metres and a sweeping view at the famous Lake or The Cathedral. All 4 suites welcome the guests in an entry hall with private make up room and salon, a decorative living room with open fireplace, balcony and dining table as well as a spacious bedroom so luxuriate and relax in the stunning sitting room and dream read more at the sweetest of dreams in the opulent hand crafted four poster bed, draped in glorious fabrics, which is sure to provide a night of utter satisfaction and a truly dreamlike experience. 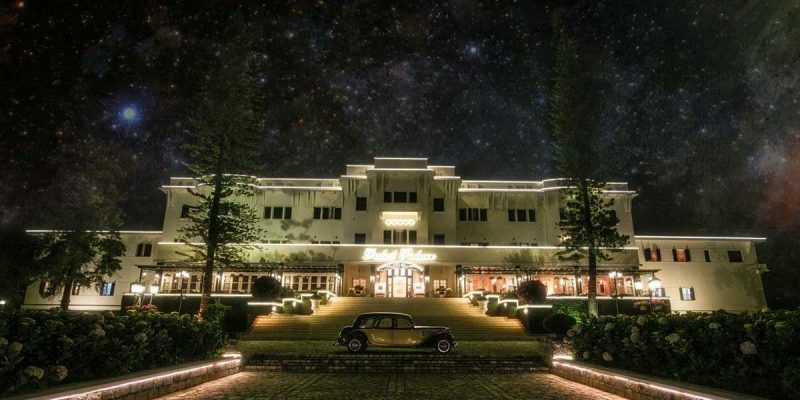 VIEW MORE: "Hotels in Da Lat"